But there’s good news: it’s not too late to stop this scheme. But we have to act now. Higher rates for you and your neighbours, especially if you live in a rural or First Nations community. Higher rates for businesses in your community, forcing many to close or move to a different province. More frequent and longer outages. Less money for your local schools, hospitals, roads, and transit. 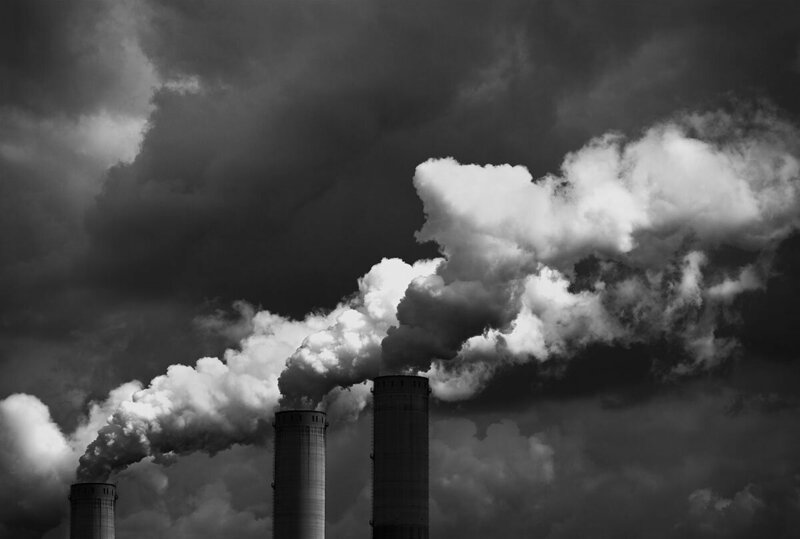 Less action to prevent climate change. Who benefits from this scheme? Nobody except wealthy Bay Street investors and government politicians who will be able to use the one-time cash infusion to pay for some pre-election goodies. I understand I will be emailed information about joining or forming a local chapter of Hydro One Not For Sale, and that I can unsubscribe from further emails at any time. 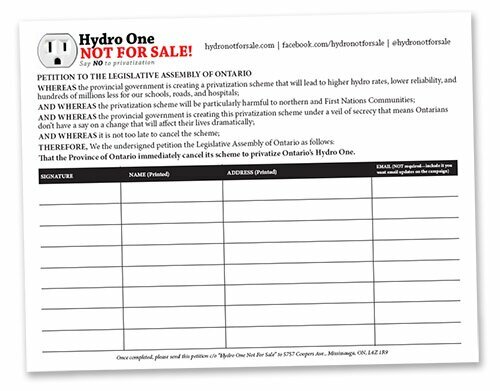 Do you know other people who’d also like to say “Hydro One Not For Sale”? Print out this petition form, fill it up with names, addresses, and signatures, and mail it back into us. We’ll present every petition we receive to the government.